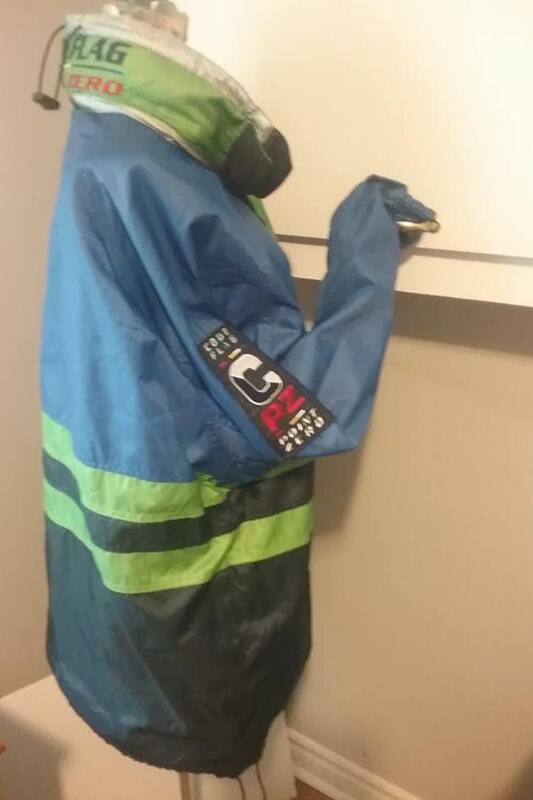 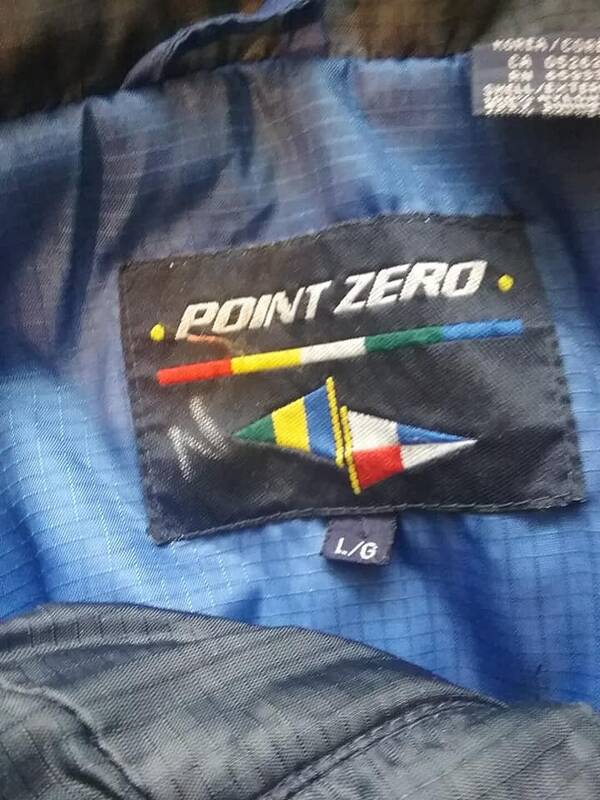 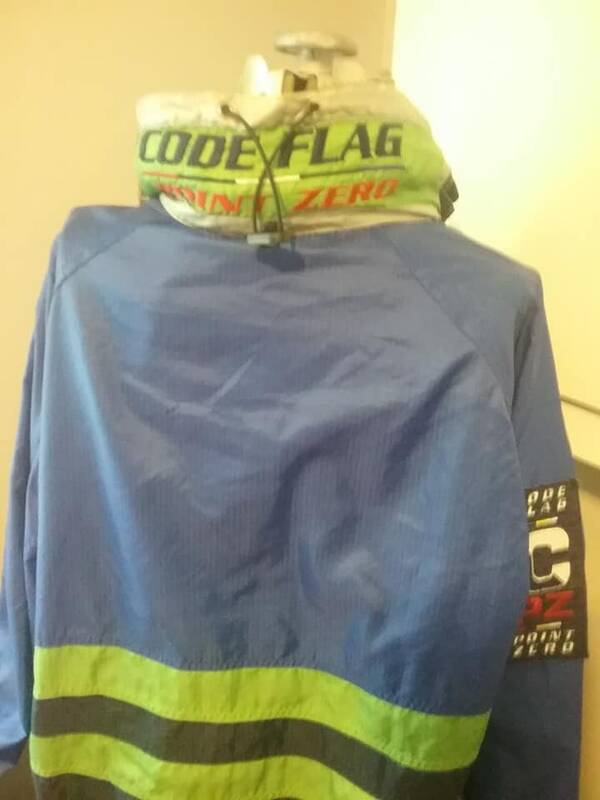 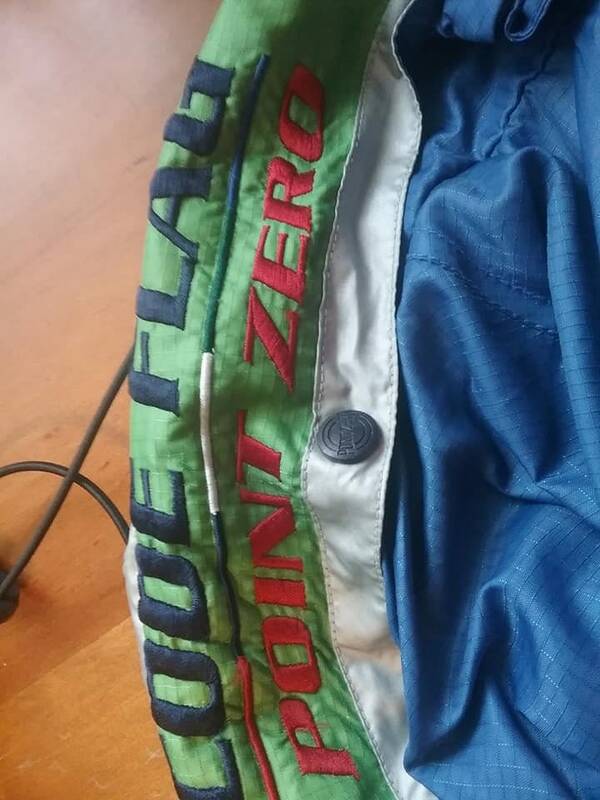 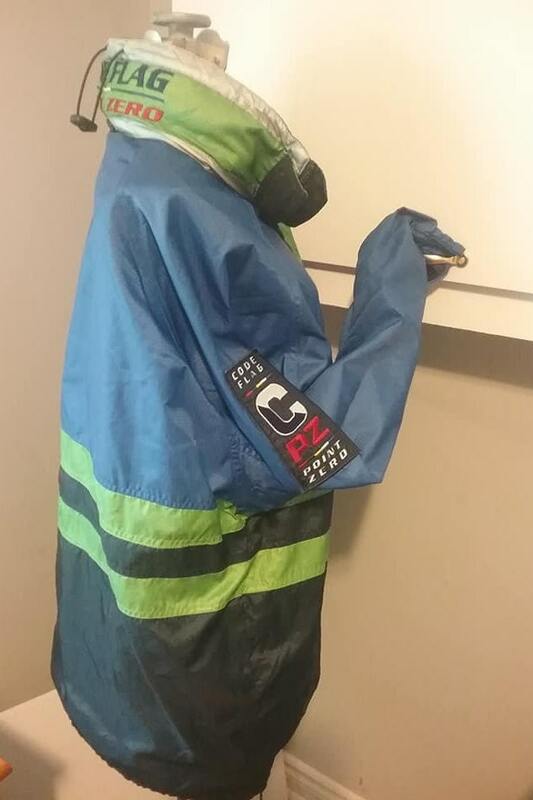 1990's men's Point Zero outerwear jacket, CODE FLAG, 100% nylon with hood. 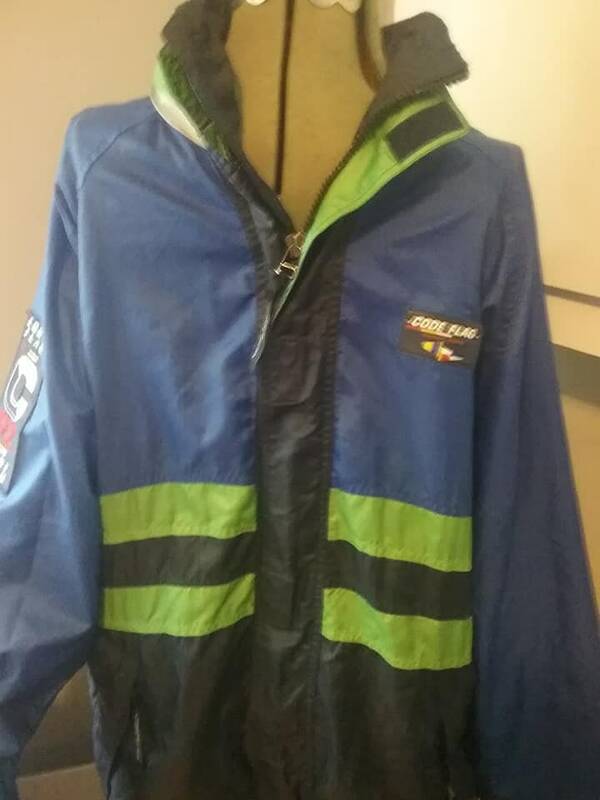 Men's size large with the following approx measurements: length - 30", width (pit to pit) - 26" (a roomy large...possible fit XL). 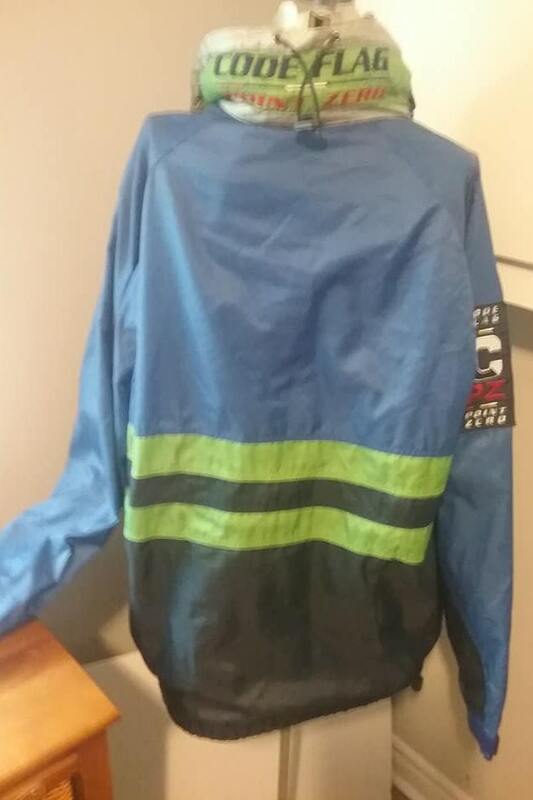 Neck pocket hides the hood. 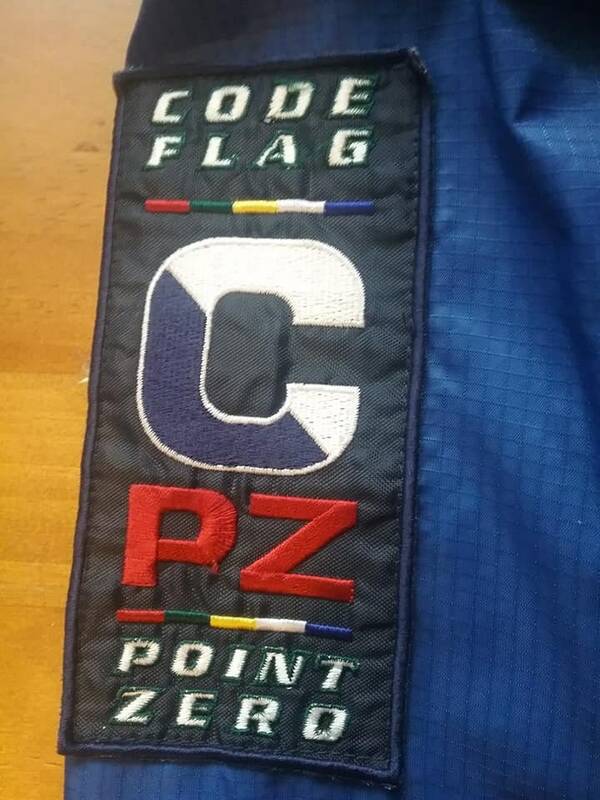 Logos and decals are embroidered. 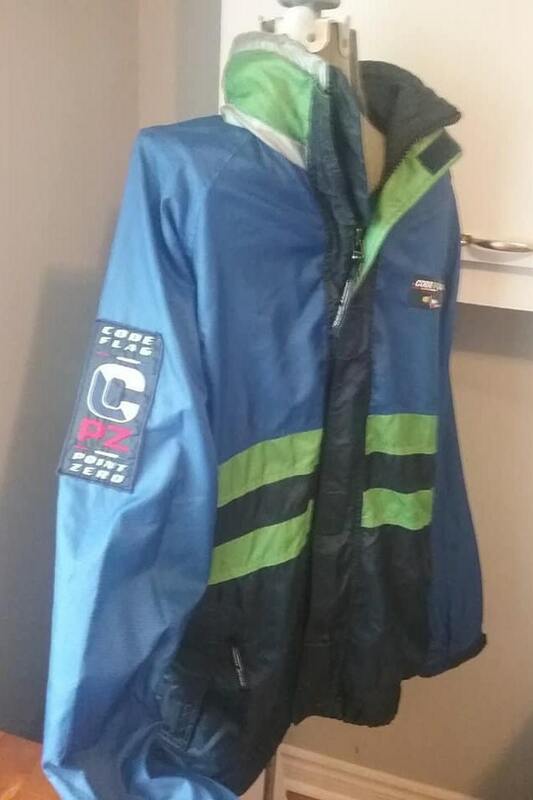 Excellent outerwear for the athlete, hiker, thrill seeker on your list.